And thus spoke David… but in this case it was Bob….Previous newsletter I cited several reasons why the dollar would revalue, whereas the euro would decrease further on. Meanwhile the European Central Bank came up with the vicious plan to buy up Treasury bonds at a ratio of 60 billion euro a month. It puts pressure on the euro and therefore the euro seems to be collapsing the moment I write this text. Is this a good thing to happen ? About the half of our products still have to be paid in dollars. These products will definitely become more expensive. As a matter of fact the new price lists include a lot of increasing prices. However it’s beyond our will. It’s merely a matter of currency rate technical speaking. What’s though important for us, is that our export to dollar countries has increased considerably at this moment. Nevertheless in Europe we’re doing a game of currency display of force and the end is not within sight…one dollar for one euro or even less that’s an obvious scenario, possibly it will be a fact the moment you read this newsletter. But don’t spoil our favorite season : springtime by worrying about the price of parts. 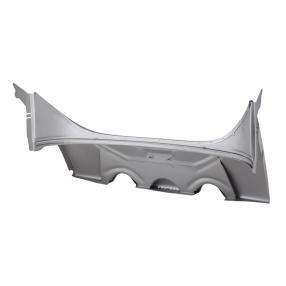 In comparison with other car makes Volkswagen parts are pretty cheap! There is another full calendar with meetings scheduled for 2015. The principal event will be in June, in particular on 18 June with our open house (do you come too?) and on 19 June when we go in convoy to the mother of all Volkswagen meetings : Bad Camberg. A lot of sunshine, splendid weather and unforgettable trips with your Volkswagen. That are the things we wish you and with regard to the prices, we’ve just got to figure them in. A corroded, distorted or broken vent wing lock is no longer a reason to replace the entire vent wing. 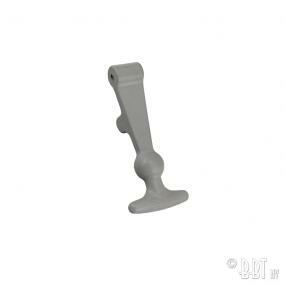 From now on BBT can deliver a nice reproduction vent wing lock from stock. Available each for each side. 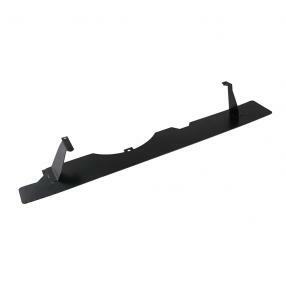 The authentic trim panels for pick-up and combi split buses is made from grey hardboard, which gets easily damaged and is hardly resistant to moisture. In practice we see many Splitbuses with deformed trim panels that dont sit on their place anymore. Therefore we receive frequently demands for this door panels, though we were looking for a more sustainable product. Weve found the solution under the form of this PVC trim panel that is in the matter of color as well as structure very similar to the original model. The principal difference is the sustainability and strength of these panels. 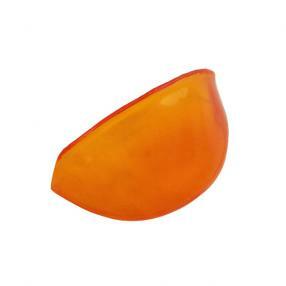 They are better resistant to damages and cannot deform due to influences of humidity. 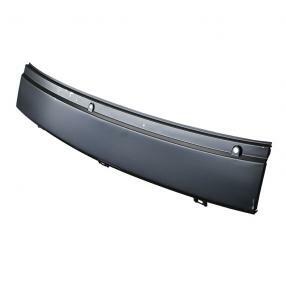 We can deliver from stock the door panels, the kick panels as well as the roof panels for the drivers cabin; suitable for Type 1 buses single cab, double cab and combi. 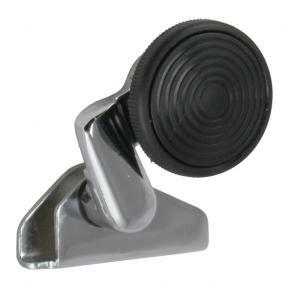 We have added this seatbelt to our range for those who dont wish to install automatically winding up seat belts in their classic car. 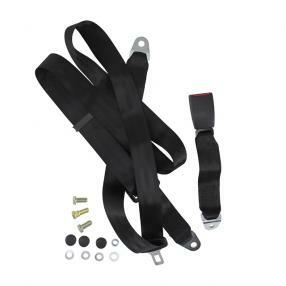 The 3-point seatbelt has the E-mark and is delivered with necessary assembly material. Sold each including assembly material. 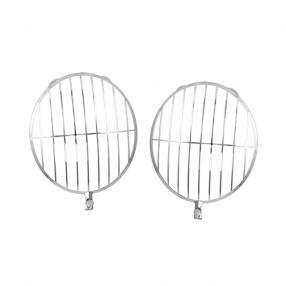 Initially these grills have been designed for racing and fans of travelling off road. They protect the headlight lenses against stones and branches. On the other hand there are certainly fans of the special look of these headlight grills. The grills are assembled over the original headlight lens and are clamped under the headlight ring. 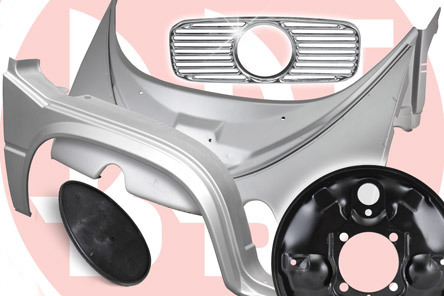 Beneath the headlight grill will be fixed by means of a special screw (included) together with the headlight ring The grills are sold a pair, assembly material included. We can found this lens in the license plate light with split window beetles made before 10 October 1952. 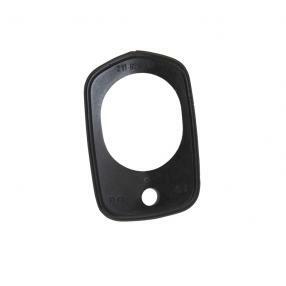 The license plate light has a double function and comprises apart from the license light also a stoplight. Just to state clearly this stoplight should show a different color and it has an orange cover inside the license plate light . After many years of service these covers are often faded, deformed and/or cracked and need replacement. BBT has them now each from stock. Problems with the electrical installation of classic cars can cause a lot of trouble and annoyance. We also experienced that people try to solve electrical problems in somehow strange manners. 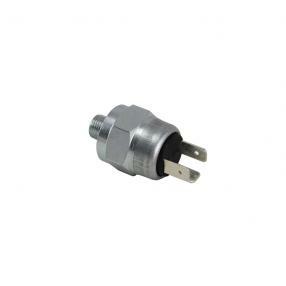 These solutions are often not very safe and can provoke short-circuit and fire. In case of serious problems or if the wiring is severely damaged it is recommended to replace the electrical wiring harness by a new one. Also when restoring this option can prevent a lot of annoyance and loss of time. 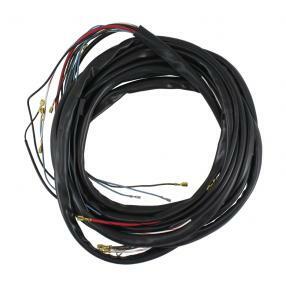 These wiring harnesses are made according to American specifications and can show some deviations compared to the European model. Available from stock. 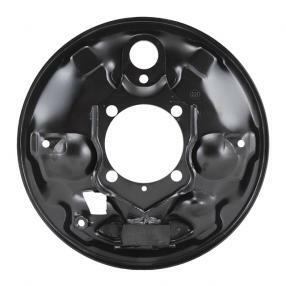 This seal can be found on Type 2 buses from 08/66-07/71 underneath the rear hood lock for protection of the body. On many buses this protection is often completely hardened, became fragile or got partly lost. 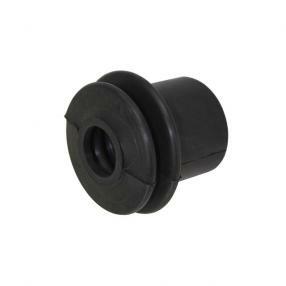 Therefore it doesnt fulfill its protecting and sealing function anymore and moisture can penetrate within the hollow space of the rear hood and the mechanical part of the lock. 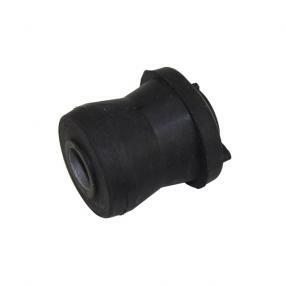 From now on BBT can deliver a new fitting seal each from stock. By adding these floor panels to our assortment, we enable the restoration of the body of a Type 1 beetle in a more correct way. These floor panels are designed according to the original model with correct profiles and seat rails. The quality of the finish is even better that the original. The floor panel is delivered completely with jacking point, clutch pedal stop and rear vertical part for assembly to the body. Available each for each side from stock. 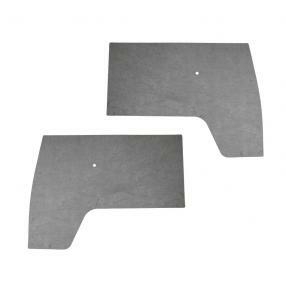 The front hump on floor plate for Type 1 Beetle from 08/72- is essential for a stable assembly of the front seats in your VW beetle. You can now replace without problems corroded and damaged items. Available each and for each side. 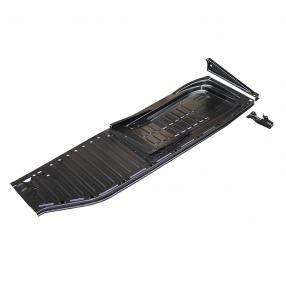 In general the parallel chassis section with Type 1 buses are strong and resistant, though it might happen that a severe collision or corrosion can harm the chassis section thoroughly. Replacement will be necessary. From now on BBT has a solid part of this chassis section available which goes from the rear to the front wheel space just behind the front axle, where it can be put together near the original welding seam. Available each for each side from stock. Lets hope that it will not occur, but a mischief comes without calling far and it can happen to everyone. Even to the owners of Type 2b buses, who we can help this time with this inner front panel new in our assortment. 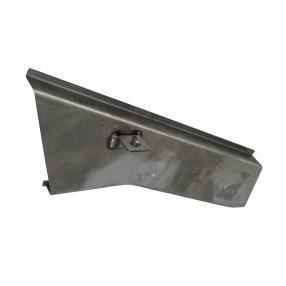 This reinforcing plate is located at the underside of the front behind the front bumper. It might get severely damaged after a front impact and repair of this panel isnt obvious. From now on we can deliver this panel each from stock. This shield can be found on Type 2 buses between the silencer and the engine plating. It prevents that heat coming from the silencer will warm up the plating around the engine-coolant fan. If this shield is missing the aspirated coolant air will be heated through the surrounding plating and youll risk that the engine will be overheated by the warm coolant air. 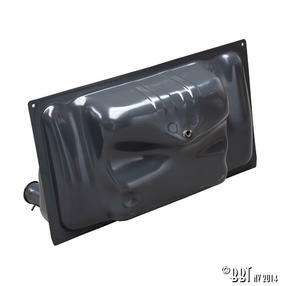 We notice that on many buses this protection shield has been damaged by fluctuating temperatures, moisture and dirt or have disappeared completely, after that assembly supports have been broken due to corrosion. BBT can deliver a good reproduction each from stock. A special and practical gadget ! 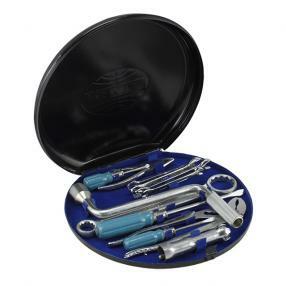 This VW tool box can be put into the spare wheel compartment. It has been in production since 1950, but was subject to quite some modifications in the course of time. They are very sought-after and are dealt for crazy amounts, thats why its difficult to find complete tool boxes at a reasonable price. This reproduction from EMPI is a good alternative to take along on holidays. The copy is based on a model available since 1962 and has been delivered till model year 1966, afterwards contents have been modified again. Available from now on from stock. It is important to have a good driving-mechanism, though is it is even more important that the brakes too are properly functioning. Thats why we make that parts for the brake system are always of excellent quality. Now we have chosen to foresee an alternative of high quality of the brake switch with 3 terminals that we already have available for a long time. This German made version assures a leak-proof and excellent functioning. Available each from stock. Bad seals make that dirt and moisture can penetrate into the steering box. Replace them in time to assure a proper functioning of the steering boxe. The shifting gear on Type 25 buses is a rather complex unit in which many different parts are used. The transmission in the gear box will be executed between the shift arm and the gear box with a ball that is handled by a hollow lever. 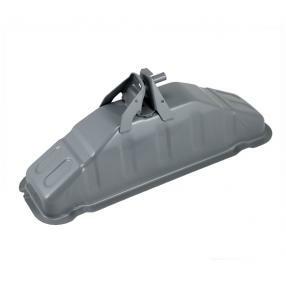 This transmission is lubricated with grease and this connection will be protected on its turn against dust and moisture by means of a rubber boot. In case this boot is torn it does no longer fulfill its protecting function and transmission will be damaged by dirt and moisture. The rubber boot is delivered each from stock. A leaking gear box soils the garage floor but it reduces also the oil level of the gear box. The loss of oil goes definitely together with a lack of greasing that will irrevocably lead to serious damage of the internal parts of the gear box. It is important to use good seals when revising the gear box. 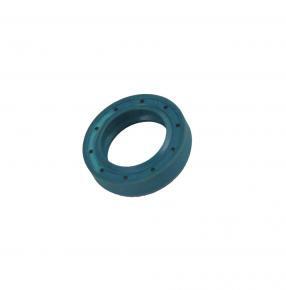 BBT has already a large range of seals available, but there is however a great demand after specific seals for the gear box. 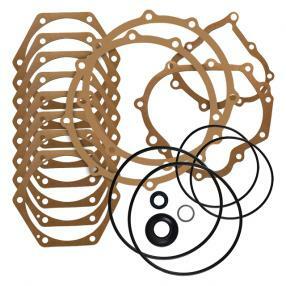 From now on we can deliver this gasket kit made in Germany each from stock for Type 1 gear boxes with swing transaxle and IRS (propeller shaft) transmission. Fans of authentic brands that were used in the past as spare parts for Volkswagen, will be very pleased with the latest addition of products of the brand BERU. 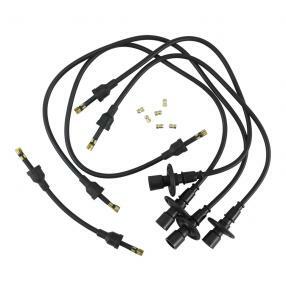 The ignition wire set made in Germany assure a perfect transmission of the power between current distributor and ignition plugs. 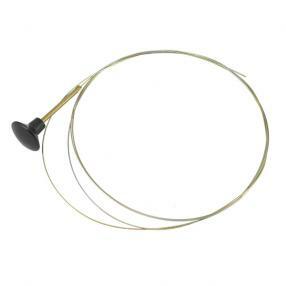 The ignition wire set is available from stock as a complete set for 1 engine. Volkswagen has foreseen grab handles for madly trips with your Type 2 Split bus, so that passengers sitting behind on the second or third seat can grip themselves. These handles are fixed on the backrest and covered with vinyl for a comfortable grip. UV-beams and summer temperatures can harden and crumble the covering. 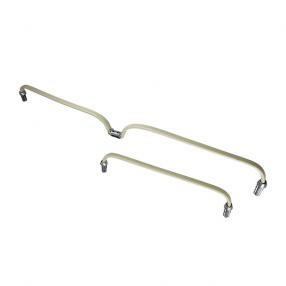 From now on BBT delivers these grab handles separately or as a set from stock. A pick-up has a practical way to transport cargo with the disposal of a cargo bed. Its even more interesting when you can charge in all weather conditions. 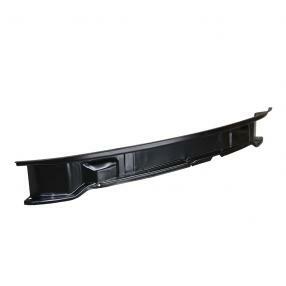 In the past Volkswagen has provided the material to cover the cargo bed by means of a tilt. BBT has now the mechanical part for this tilt at disposal so the construction can still be effectuated. The kit consists of the metallic construction parts only ; being a front and back hoop, 2 finish slats for the wooden front and rear slats, 1 center hoop to be used use on a single cab pick-up. These parts are all in black powder coating and fit on Splitbus as well as on Baywindow buses. We can solve a regular problem with Type 2 Westfalia buses foreseen with a pop-top. On many of these buses the authentic rubber straps that tighten the pop-top to the body are damaged and/or broken by age. 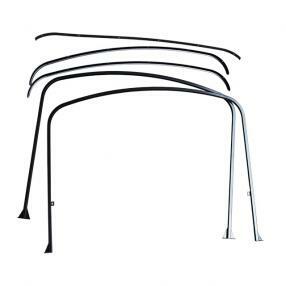 BBT presents now the perfect part for the owners of Type 2 08/63-07/72 buses with the pop-top principle. Available each from stock.